“The world is your home. Look after it.” I try to live up to this quote by the United Nations Environment Programme (UNEP). It’s important to think globally and act locally. Having graduated from New York University with a degree in Metropolitan Studies, this interdisciplinary major allowed me to pursue my interests in environmentalism as it relates to contemporary New York City and other global metropolitan centers through coursework and fieldwork. In October 2009, after being unemployed for nine months, I began my AmeriCorps position at the New York Restoration Project, which presented me with opportunities to further my passion in practicing sustainability in my home town through nonprofit administration and civic engagement on the MillionTreesNYC initiative, one of the 127 goals set forth under Mayor Bloomberg’s PlaNYC 2030. I have always been passionate about performing community service and getting involved as a researcher, observer, and participant, so AmeriCorps was a natural fit for me. I wanted to make differences in my life and in the lives of those around me, and it meant a great deal to apply my skills and ideals toward mobilizing others and empowering communities. During my year of service, I assisted with the planning and implementation of MillionTreesNYC education, outreach, and management. As the sole editor of the NYRP Daily Newswire, I distributed headlines and links to articles related to NYRP and MillionTreesNYC, and I identified key resources, ideas, and constituents for facilitating conversations on capacity building as we sought to improve our approaches to social and environmental challenges in organic ways. 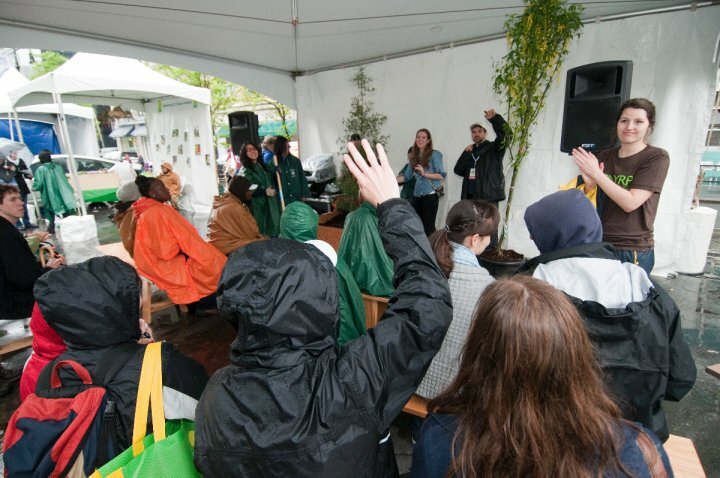 I also worked on an array of projects such as performing outreach for Put Down Roots (PDR), the largest homeowner tree-planting program in NYC that engages 836,000 homeowners to plant trees in their front and backyards. The PDR program, generously underwritten by JetBlue Airways as part of their “One Thing That’s Green” initiative, offered up to two free trees to the nearly 20,000 homeowners in the Queens, New York neighborhoods of St. Albans and Jamaica. The goal of PDR is to increase tree canopy, as well as promote the health, environmental and economic benefits that trees provide a community and its residents. In preparation for JetBlue’s Volunteer event in April, I went with a team of three into St. Albans, Queens in March, where we went door-to-door canvassing to homeowners about how they could be a part of these efforts to green their neighborhood, as well as be a part of something bigger. If they weren’t home, we hung door hangers that listed all the information they needed. I also fielded calls from hundreds of homeowners who had registered trees online and through a special hotline. I didn’t realize what an impact we had until I read that card. It was such a sweet gesture, and as cliché as it sounds, it makes AmeriCorps members like myself realize that we are all part of something much bigger than ourselves. Our efforts in the greening and beautification of underserved communities support the restoration of our city’s landscape, and in that process discover what our individual contribution should be. At the same time, service projects such as these would not have been as successful without its corporate and community volunteers. In ensuring NYRP’s and MillionTreesNYC’s optimal presence at citywide and neighborhood events and conferences, I became fascinated with attending similar events whenever possible, so as to be able to participate in various discussions directly with green-minded leaders and foster relationships with many other professionals. Quoting Woody Allen, “Eighty percent of success is showing up.” Being an American born Chinese, the opportunity to exchange ideas and experiences with other members of the Asia-Pacific community peaks my interest incredibly. 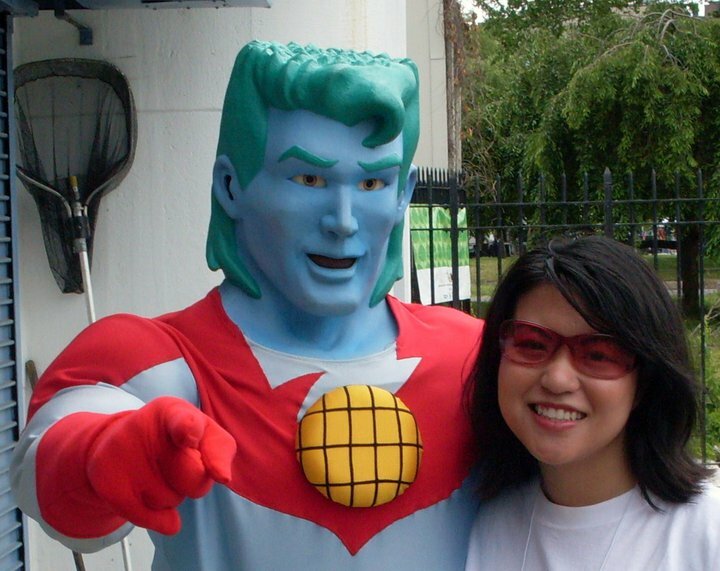 I view climate change through both a local and global lens, where concerns touch on environmental degradation in the hometowns and home countries of many Asian Americans and Pacific Islanders. And yet, the Asia-Pacific perspective was not represented in the majority of events I attended. Given my passion and visions toward sustainability and the planet this would empower me to lead the charge in improving environmental literacy in urban areas across the globe. Whatever we can do today to encourage diversity and empower a wide array of young people in our work will ensure our conservation success in the future. My long term goal is to empower the next generation of environmentalists and equip them with the skills and knowledge to address our world’s most pressing environmental challenges. On the 40th anniversary of Earth Day, I was honored with the first I LOVE NY “Greenest New Yorker” Award for deep commitment to environmental excellence and outstanding leadership in protecting New York State’s environment and stewardship of its natural resources. I’ve said that “to sustain the city and state we love today, we must plan for tomorrow,” and this award is a six-year collection of my activism in NYC’s sustainability efforts. I definitely believe that AmeriCorps served as a stepping stone in my career, and although I completed my term in September, I’d like to do my part as a born and raised New Yorker to create a greater and greener New York City, with a broader reach to New York State as the Ambassador for I LOVE NY’s Green Heart NY program, ensuring that we all work together to continue making New York State greener and keep it that way for generations to come … and then who knows? Sky’s the limit! ← Alums Chapters Win During TAG! Your experience with NYRP’s MillionTreesNYC program sounds like a great one! Since the program’s inception in 2007, 430,000 trees have been planted. NYRP has also been cleaning up parks and bike paths that were hit hard by Hurricane Sandy.